Business cards let the world know you're serious about your product or service. Buy business cards online to ensure that you get your name out there. 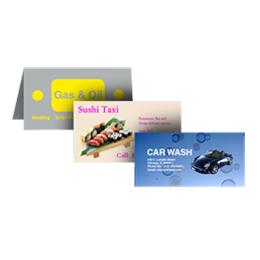 Cheap business cards printing makes it possible to boost your branding efforts at a reasonable cost. You don't have to spend a lot of money to look professional. Use cheap business cards printing to put your company's name, contact information, and a brief marketing message in the public eye. Buy business cards online at a great price so you can afford to buy in large amounts. Business cards are like popular videos; they can go viral in the right hands. Buy business cards online from a company that does cheap business cards printing, because you need to always have plenty on hand. You never know when just the right person will come along to give your business a boost. Whether you run a small business or start-up, or represent a larger company, having an abundance of beautifully crafted business cards available is essential. Keeping your eye on the bottom line is important too, so buy business cards online from a company offering cheap business cards printing.